Entrust your exterior painting job to a professional – you’ll be glad you did! 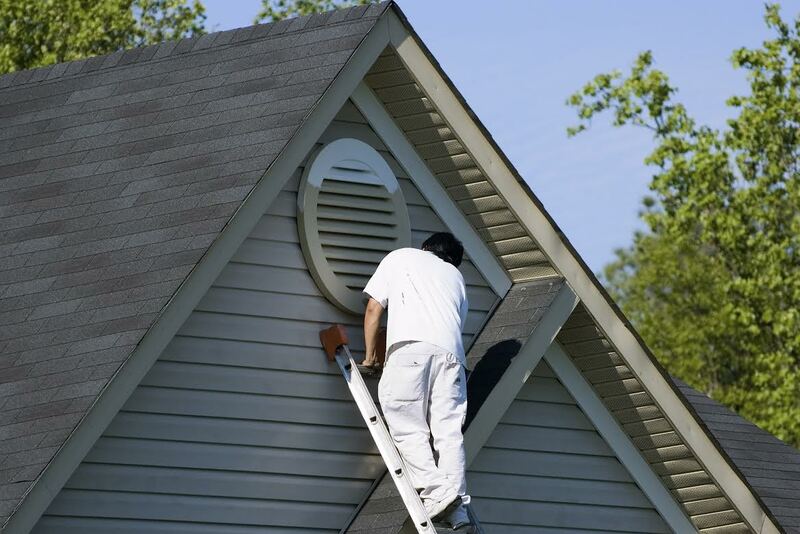 Have you been thinking about a new paint job for your home exterior? Falling temperatures mean the ideal time for new exterior painting is coming. You may think that you could save some money by doing the job yourself. Did you know that, on average, 1 in 5 people who start painting the exterior of their home end up calling a professional to finish the job? Saving money may be the only reason to go DIY. Here are reasons why you should turn to a professional painter at the start. You have a busy life, and sometimes that life can get in the way of your exterior house painting. One homeowner with a full-time job may end up taking a month to complete the project. On the other hand, a professional painter will be able to focus on the job and complete it in a much shorter period of time. With a professional doing the job, you won’t have to subject yourself to the dangers inherent in painting your home. Naturally, the biggest danger is the heights involved and accidents with step-ladders are common if you aren’t careful. If your home has leaded paint, a professional will be able to take precautions which a DIYer may not consider. Professional painters have the experience to know the proper tools for a given job. They can assess your home to determine the right type of paint to use. They can use the highest quality paint available to ensure your home looks great for years to come. A set of professional quality paint brushes and other application tools would be very expensive for a homeowner to buy. Finally, as anyone who has ever painted knows, the act of painting is easy, but making it look great is tough. Professionals will be able to make it look great every single time. This entry was posted on Wednesday, September 14th, 2016	at 5:33 pm	and is filed under Curb Appeal, Painter	. You can follow any responses to this entry through the RSS 2.0	feed. Both comments and pings are currently closed.